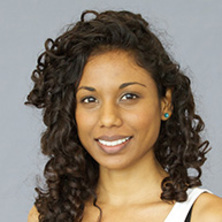 Sonia was awarded her PhD at University College London in Jan 2014 on the discovery and application of genetic determinants of cardiovascular disease risk factors, with particular application in disease risk prediction and determining causality using Mendelian randomisation. Her interests lie in using genetic, epigenetic and genomic data to better understand the underlying architecture of complex disease traits. In 2018, she was awarded an NHMRC Early Career Researcher fellowship to investigate the relationship between cardiovascular and neurodegenerative disease using large-scale genetic and omic data. Shah, S., Drenos, F., Shah, T., Palmen, J., Sofat, R., Kumari, M., Pallas, J., MacFarlane, P., Whittaker, J., Talmud, P., Humphries, S. and Hingorani, A. (2010). Identification of Genes Associated with Qt Interval Using the 50K Cardio-Metabolic Snp Chip: Results From the Whitehall II Study. In: Atherosclerosis Supplements. 78th Congress of the European-Atherosclerosis-Society, Hamburg Germany, (153-153). Jun 20-23, 2010. Humphries, S., Talmud, P., Drenos, F., Shah, S., Palmen, J., Shah, T., Kumari, M., Pallas, J., Casas, J., Whittaker, J. and Hingorani, A. (2009). Genetic Determinants of Ldl-C Levels: Using the 50K Cardio-Metabolic Chip to Explore the Genetic Architecture of Lipid Traits in Whitehall II. In: Atherosclerosis Supplements. , , (). .